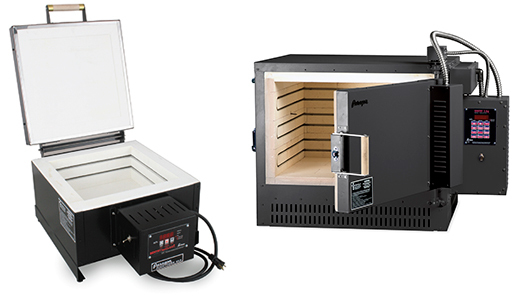 Almost any kiln that will fit your mold setup will work. The most important thing to consider when selecting a kiln for casting work is whether there will be plenty of room around the mold to allow for uniform heating and cooling. In addition to space for air to circulate, heating elements in the floor, lid, and on all sides will go a long way to facilitating uniform heating and cooling. What form of glass should I use for kilncasting?